Voting allows citizens the right to use their voice, and seniors at Ottawa Township High School who are or are soon to be eighteen have their first election quickly approaching. But before that ever-important midterm election on November 6, you must be registered to vote. Getting registered to vote is easier than you may think, but there are some requirements. The most basic of these is that you must be a United States citizen. The state of Illinois has some of its own requirements. The first is that you must be a resident of the state for at least thirty days before Election Day. 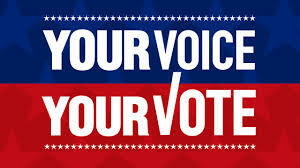 If you are seventeen and will be eighteen by Election Day, you are allowed to vote in the primary election. If you meet those requirements, it’s time to get registered. You can register in person with two forms of identification that have your current address at the LaSalle County Clerk’s Office, which is located at 707 East Etna Road in Ottawa. You may also register online with a submission of your driver’s license, state I.D., or the last four digits of your social security number at ova.elections.il.gov. The deadline to register is October 10 in person and postmarked by October 9. If you are already registered, it’s important to check your registration status and information before those same deadlines, which you can do at headcount.org. “If we view the world or our society or our community as having some true political issue, we can’t rest on our morals. There is something we can do to bring about change, and that is voting,” said English teacher Mark Cartwright. With all of Illinois’ executive offices, eighteen seats in the United States House of Representatives, and all 118 seats of the Illinois House of Representatives up for elections, voters have the change to bring major change the the state and federal governments in this year’s election.